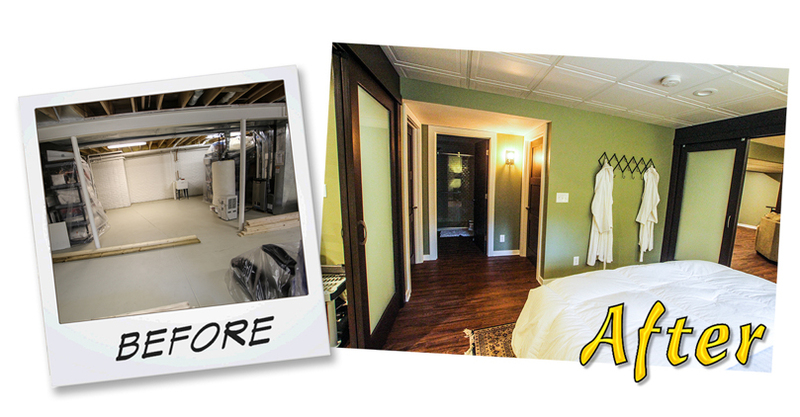 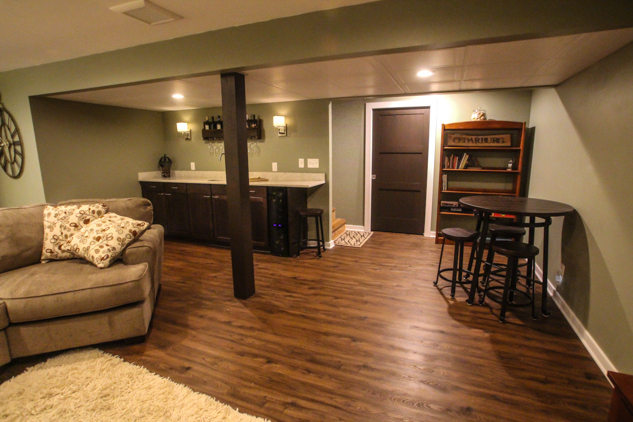 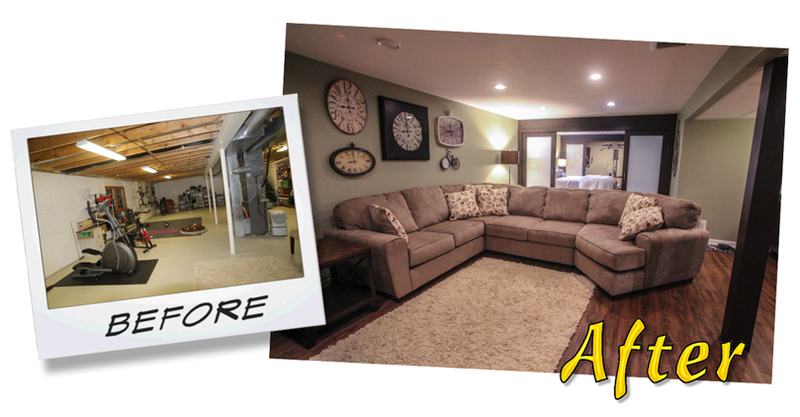 Our main goal for this basement design was to configure a space with a modern look and an open feel. 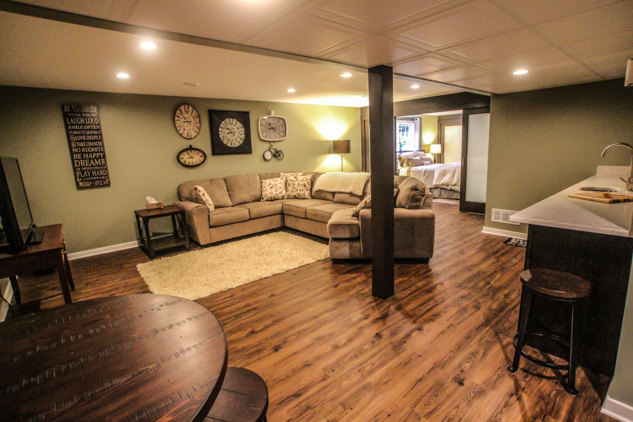 We also wanted to take advantage of the natural sunlight provided by an existing egress window. 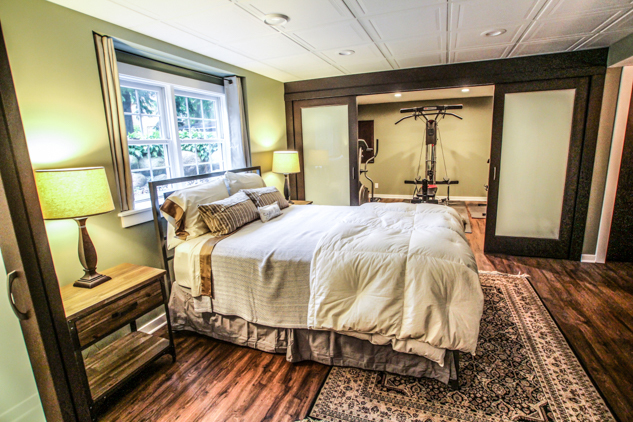 The design includes a 3/4 bathroom, exercise area, bedroom, sitting area and wet bar. 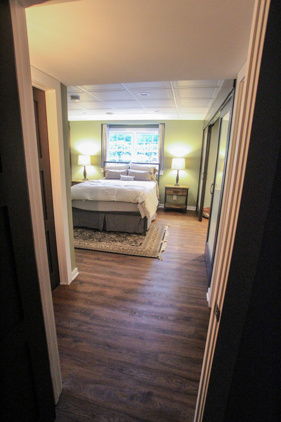 The guest bedroom is separated from other areas with two walls consisting of 4 full panel glass doors each. 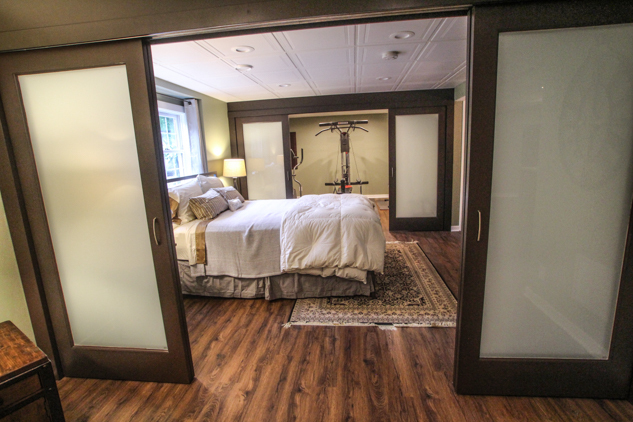 The etched glass allows privacy when doors are closed and also allows the natural light to flow into the remaining areas of the basement, whether opened or closed. 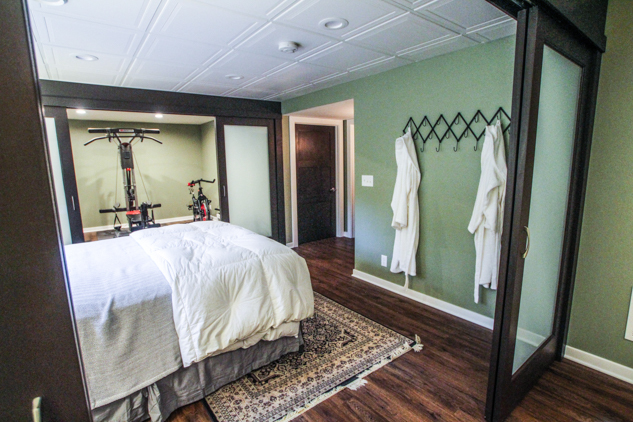 The bath is directly connected to the bedroom area. 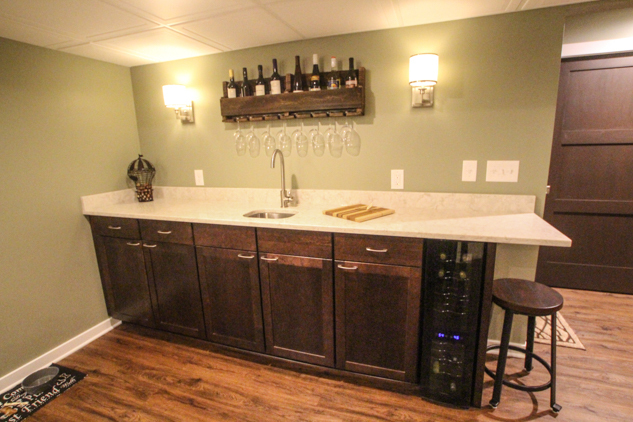 An additional challenge involved designing the wet bar around a specific mini beverage cooler. 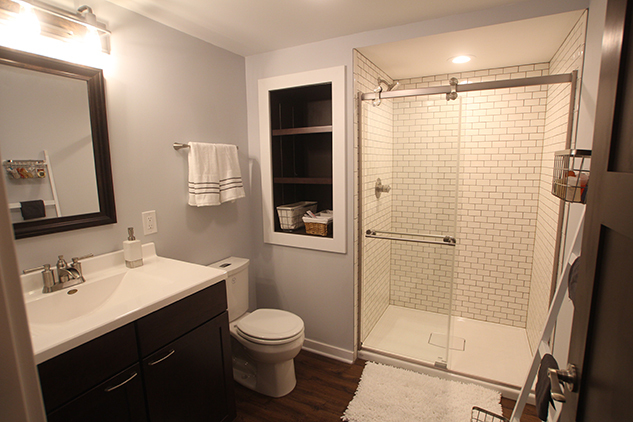 The specs for this unit are taller than the traditional standard 36″ counter top height. 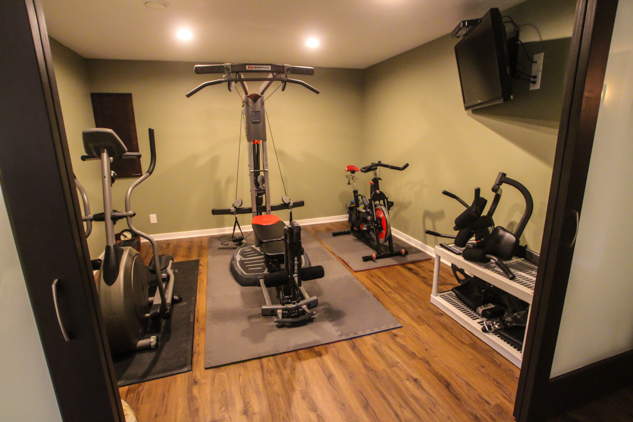 We were able to make everything flow together quite well with the use of semi-custom cabinetry and remain within the budget for the cabinet details. 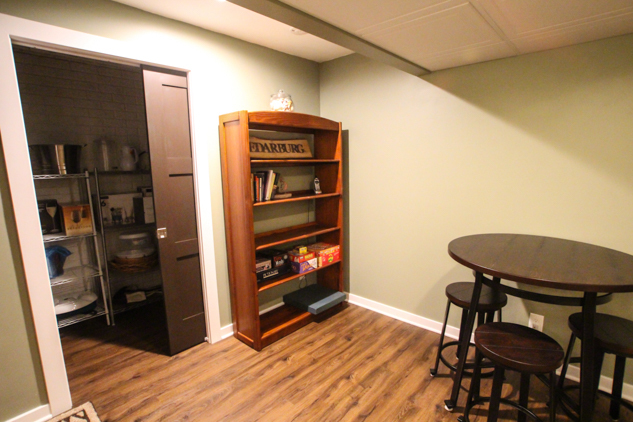 A closet pantry with a pocket door is included in this area.